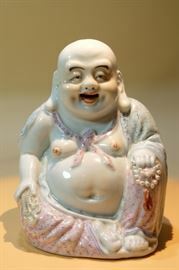 Black Tortoise Antiques Chinese Asian Online Auction. 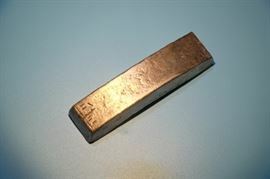 Chinese Old Guarantee Solid Silver Bar. 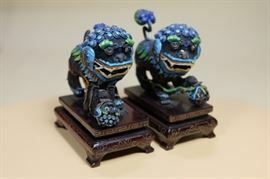 Pair of Chinese Silver Filigree Mesh Gilt & Enamel Foo Dog Lions. Chinese Turquoise Bead And Melon Flower Agate Necklace. 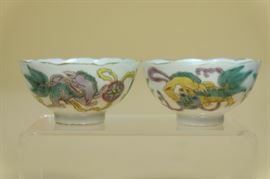 Pair Chinese Porcelain Fmaille Rose “Foo Lion” Cups. Chinese Hand Carved Turquoise Stone “Butterfly” Pin. A Chinese Wucai "Dragon And Phoenix" Burner,Marked. 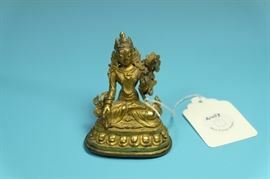 Antique Gilt Bronze TIBETAN Buddha. 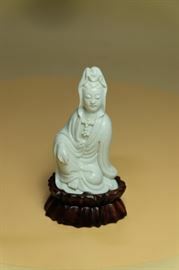 Chinese Porcelain Blanc De Kwan Yin Figurine. 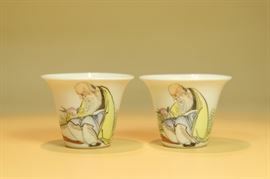 Pair "Eggshell Style" Chinese Porcelain “Shou” Cups. 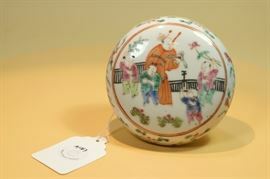 A Round Shape Famille Rose Porecelain “Boys Playing” Ink Box. 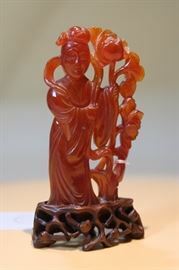 Chinese Carved Red Agate Lady Figurine. Chinese Famille Rose Landscape Porcelain Inlaid Wood Scholars Box. A Craved Jade Jadeite Vase With Two Handles. Mini Chinese Porcelain Turquoise Monochrome Blue Vase. Antique Chinese Bronze Immortal Buddha. 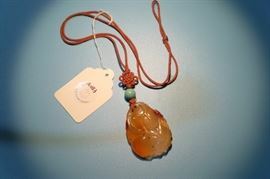 A Chinese Jadeite Lavender “Dragons” Pendant Necklace. 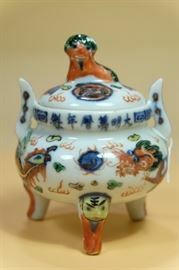 Chinese Porcelain Censer With Foo Dog Cover. Chinese Landscape Blue-White Porcelain Incense Holder. Chinese Yellow-Glazed Blue White Porcelain Vase. 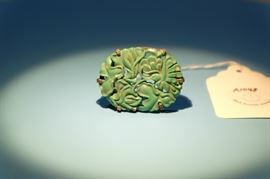 A Chinese Jade Jadeite Agate Brass Belt Buckle. Hand Carved Chinese Jade Jadeite Silver Pin. Pair Chinese Blue White Porcelain Stem Foot Cups.